At X Games Aspen 2014, Tucker will attempt to become the first athlete in history to win seven consecutive gold medals. This year marks the 11-time medalist’s 14th appearance at X Games. You can watch all the action from Aspen LIVE on ESPN Sunday, January 26 from 2 to 6 pm ET. Stay connected to Tucker’s social media channels for updates throughout the week. Spend the first day of 2014 with six hours of snocross racing action! 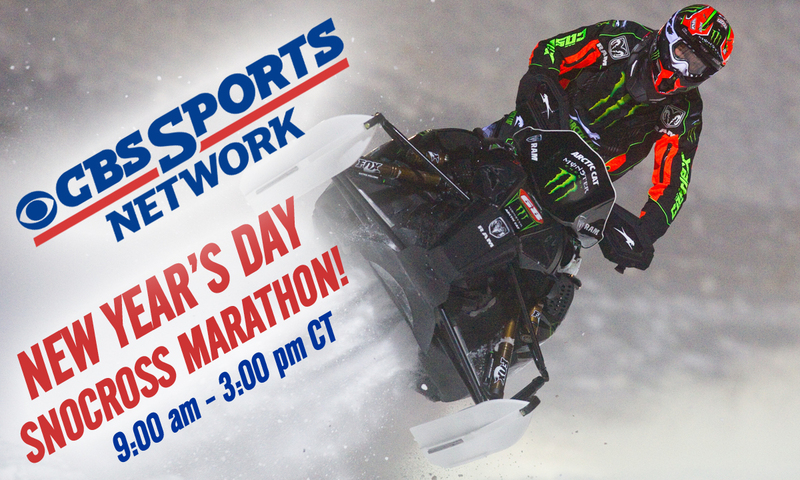 CBS Sports Network will feature 12, 30-minute ISOC National Snocross shows from 9 am-3 pm CT Wednesday, January 1. The first five hours will highlight the 12/13 season with days one and two from Lake Geneva, Fargo, New York, Traverse City and Deadwood. The marathon will wrap-up with the 2013 Duluth National. Click HERE to find CBS Sports Network in your area.